There’s no shortage of companies who want to host your website. But you should be very careful when you pick your hosting company. After all, if your website goes down, your ability to sell your goods and services is in trouble. Over the years, we’ve used a lot of web hosting services. Some were good and others were bad. Recently, however, we discovered Web Hosting Hub. We’ve found great success with Web Hosting Hub and think you will, too. We even use them in our how to make a website guide! Web Hosting Hub got its start in 2010. Their first office was located in Virginia Beach, Virginia. As they grew, they expanded with an additional data center in Los Angeles, California. Today, their low prices and award-winning service are powering small businesses around the world. Unsure if Web Hosting Hub is the hosting platform for you? Don’t worry we have a Web Hosting Hub Coupon! Simply click on the link above, sign up for the service and the discount will be automatically applied. You can test Web Hosting Hub using your existing sites. 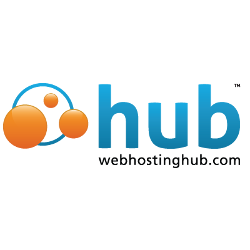 Web Hosting Hub will transfer your existing websites over for free. If you don’t have a website, or would simply like to create a new one, Web Hosting Hub has all the tools you need. Plus, Web Hosting Hub offers a 90 day money back guarantee. We really liked this offer since sometimes it can take a little while to see how well a web hosting company will perform. When combined with our coupon, you get a full three months of web hosting without having to risk paying for a service you don’t like. There’s a lot to like about Web Hosting Hub. The site is geared towards small businesses. This doesn’t mean your website has to be small. Rather, it means the Web Hosting Hub team understands the needs of a small business owner. Their customer service team will be there when you need assistance. They’re available by phone, email, chat and support ticket. If you’re more of a do-it-yourself type, there’s an extensive library of help resources available on the site. Aside from general FAQs, there are also in-depth tutorials on email, domain names and websites. Web Hosting Hub lives up to their name. From one easy-to-use hub, you can create and manage every aspect of your site. Creating a website is easy. You simply select a theme, edit your content and publish. Your site can easily be enhanced by the over 300 applications, tools, scripts and builders which are offered for free as part of your membership. If you’re looking to create a new site, Web Hosting Hub can help you find an available domain name. Their domain search feature lets you search for any site name within the .com, .net, .org, .us, .biz or .info realms. Once you’ve found something you like, they’ll register the domain for you. With every domain, you always get free domain locking and automatic domain renewal. Web hosting includes unlimited disk space and bandwidth. Also included is a free domain or a domain transfer. Secure POP3/IMAP email means you can check your message on any mobile device. Setting up your site is easy, too. A Web Hosting Hub team member with walk you through the setup procedure in a phone call. All support is provided by actual employees of the company. You’ll speak to a trained professional who doesn’t just understand web hosting, they understand the Web Hosting Hub platform specifically. In fact, when you first sign up for the service you don’t even have to call them – they’ll call you to welcome you to the platform and answer any specific questions you might have. If you’re a small business owner looking for an all-in-one solution, Web Hosting Hub has a variety of simple tools to get online quickly. If you’re a web developer looking for a reliable hosting partner for your clients, Web Hosting Hub is sophisticated enough for professional use. Of course, price is an important part of any web hosting package. There’s really no limit to what people will attempt to charge for web hosting. But high prices don’t really mean high quality, as the low prices of Web Hosting Hub show. WHH has three hosting plans. All plans come with a free domain, a SSD, SSH access, a free website builder, auto-installed WordPress and an auto-installed shopping cart. Every new account includes a $250 ad credit which you can use to buy ads on Google, Bing, Yahoo and Amazon. Their most inexpensive plan is their Spark plan. This is $4.99 a month. The Spark package let you have up to two websites. You also get 10 MySQL and PostgreSQL databases. The middle-tier plan is the Nitro plan. For $6.99 you get everything unlimited websites and databases. You also get unlimited parked and sub domains. You also get a 20% discount on Web Hosting Hub web design. The Dynamo plan offers the most resources. At $8.99 a month, this plan offers everything in the Nitro plan plus more. There’s now a 30% discount on web design services. You also get a $250 worth of free advertising credits. Their website creation services are top-notch and we recommend them. But if you want to design your own site you can easily do that using their themes and plugins. Over 500 website themes are available for members. You can also easily include your own logo, create a flash logo or otherwise make your site reflect your business. There are a lot of web hosting companies out there and selecting the right one can be complicated and confusing. Fortunately, Web Hosting Hub is simple, powerful and affordable. Plus, their local support team is easy to reach and very helpful. But don’t just take our word for it. Try the platform out for yourself with our exclusive free coupon. Just click the link to get the coupon right now. Your new website could be up and running today.